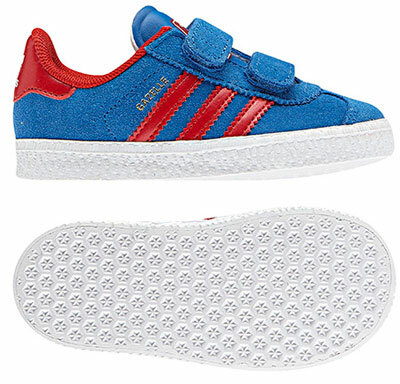 Old school trainers for your little ones, courtesy of the Adidas Gazelle II trainers for kids. 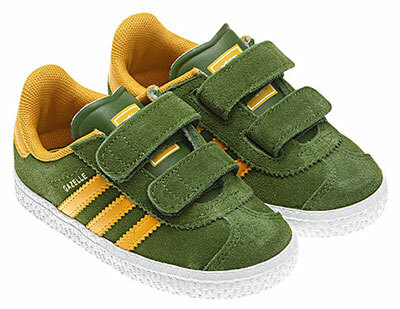 Yes, the second-generation Gazelle and Brit Pop-era favourite is available for children, looking pretty much the same as the full-size version, with one obvious difference – velcro fastening replaces the traditional laces for convenience. Two colour options, the blue or the green pictured here, available in kids sizes 4 through to 9.5. £28 is the asking price.